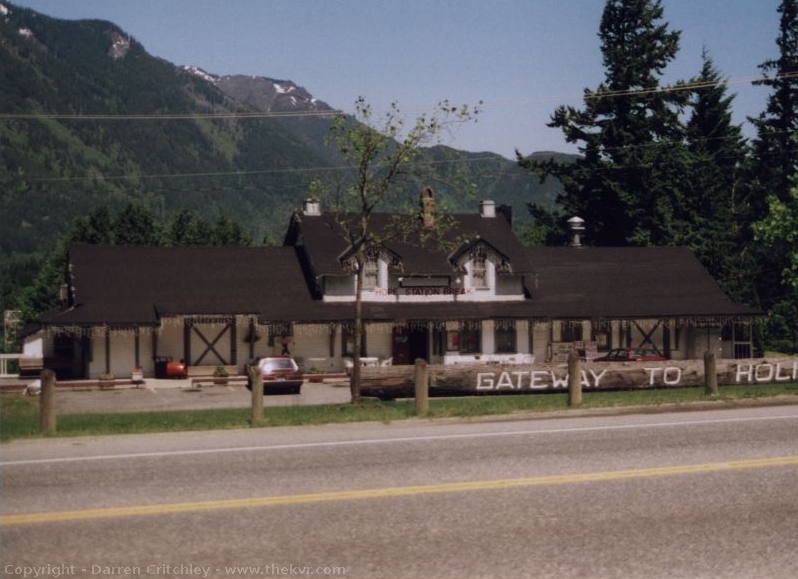 This is the old Canadian National Railway Hope Station. It has been moved from its original position to the corner of Old Hope Princeton Highway and the main street in Hope. It has even been raised and is now a two story building. This building was occupied a few years back, various businesses have been in there over the years. On my last visit to Hope, the building was sitting empty with a for sale sign on it. I had incorrectly assumed this was part of the KVR based on information from other enthusiasts, but turns out this is a CNR station. There is little of the Kettle Valley Railway to be found in Hope. The city itself has been built over the old right of way. What was left seems to have been claimed by residents. It is only when you start heading towards the Othello (Quintette) Tunnels that you pick up the right of way again.